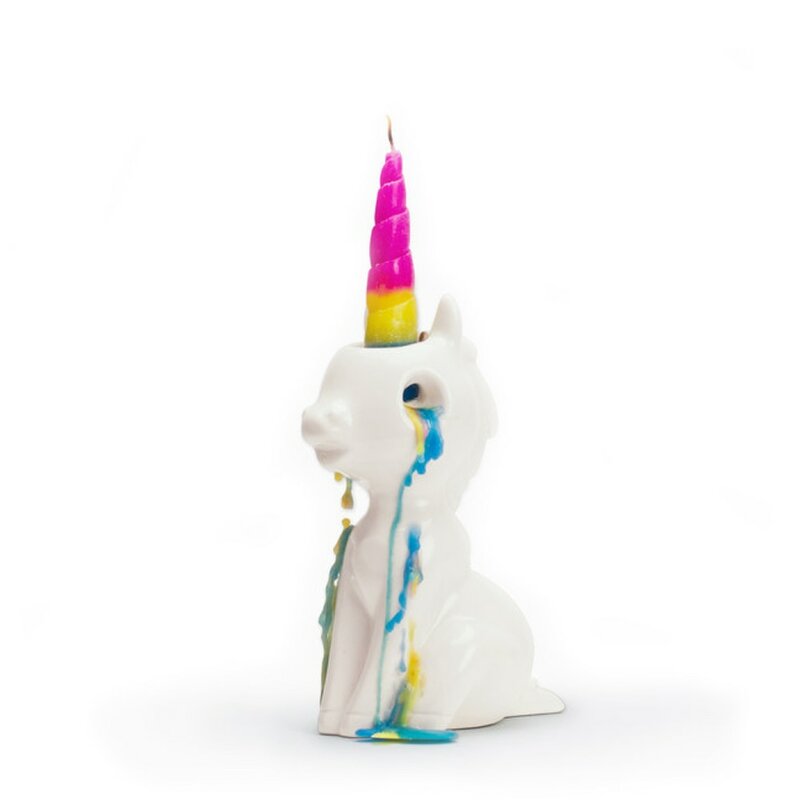 Just light the tip of its spiralled horn and the Crying Unicorn Candlebursts into tears, weeping a waxy rainbow of colours. Made from the purest white ceramic, this knowingly kitsch ornament comes with two spare horns so you can make it cry again and again. If you're looking to consume the fabled powers of Unicorn tears – you need to take swig of our Unicorn Tears Gin.